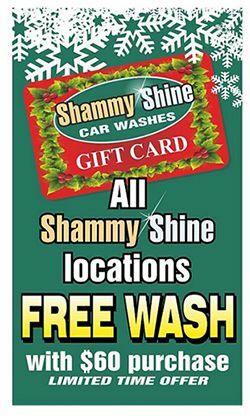 Nothing makes a better gift for the person that has everything than the gift of a clean car? Nothing makes a better gift for the person that has everything, than the gift of a clean car! 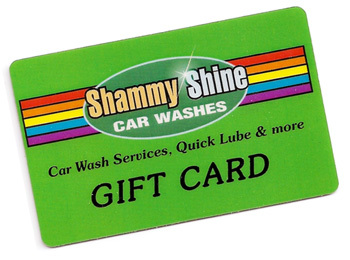 Shammy Shine Gift Cards are good for Express & Full Service Washes, Quick Lube and Detail Centers. (Not Valid for Wash Club Registration, or Self Service Bays). Gift Cards are available at all Locations and the Main Office in Milford NJ. Click the ‘ADD TO CART” Button to purchase online. You can purchase as many cards as you like, in many denominations. Delivery / Shipping; All gift-cards process/delivered US Mail, next business day. Please provide a shipping address in the notes section. (Sorry for the inconvenience, but we do not offer digital gift-cards at this time). Refund Policy; No Refunds Accepted, No Cash Value. 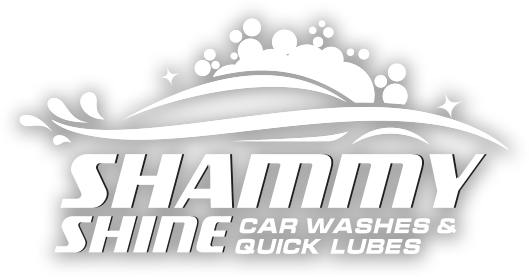 Terms & Conditions; Redeemable for all Express, Full Service and Quick Lube Center Services, (Except Monthly Wash Club Purchase). Not responsible for lost, stolen, or damaged cards, or any unauthorized card use. Unused value remains on card and cannot be redeemed for cash. After 24 months of non-usage, $1 per month dormant account fee will be deducted from your balance in arrears.